There's an excellent group, the Fifth Michigan Regiment Band performing the songs of the era, but what if you want to know or use some songs yourself? First of all music from Civil War days are safely in Public Domain, so you are free to perform them without fear of royalties. Using a recorded version, however, would be something you should work out permission with the artist performing it, although schools, libraries, and other nonprofit educational settings may be covered by Fair Use. 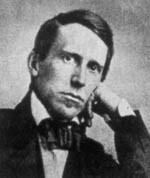 A popular composer of the times was Stephen Foster. As Wikipedia notes, he was: the pre-eminent songwriter in the United States of the 19th century. His songs — such as "Oh! Susanna", "Camptown Races", "Old Folks at Home" ("Swanee River"), "Hard Times Come Again No More", "My Old Kentucky Home", "Old Black Joe", "Jeanie with the Light Brown Hair", and "Beautiful Dreamer" — remain popular over 150 years after their composition. If you want to set a mood of the Civil War days, this composer who died at the start of 1864 is an easy choice, especially if you include minstrel shows set in the pre-war South, but are not looking for patriotic war songs. Actual songs about the Civil War, however, are definitely not a part of his work. Spiritual (music) even cautions that the whole idea of coded messages lacks primary support material. That lack of primary support material isn't surprising, but the case of Follow the Drinking Gourd and the popularity of the Fisk Jubilee Singers after the War means this is an area, at least, where you should check carefully to be sure of the dates of any song. 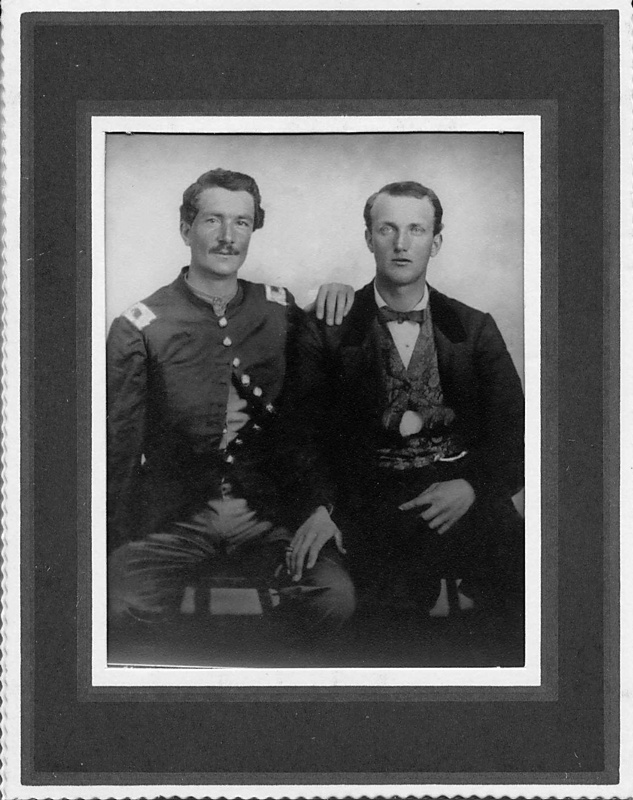 A photograph of the Hutchinson brothers. Jesse, Jr., (third from the left) is standing with a hand on a brother's head. Thanks to George Fullerton of Goffstown, New Hampshire, for this image of the Hutchinson family. There are online articles about the Hutchinson Family Singers and at Wikipedia.org. (Be sure to read the Discussion following the Wikipedia article for added information.) They started 20 years before the war with such controversial topics as abolition, temperance, and women's rights, even traveling with Frederick Douglass through England in 1845 and performed in prisons and almshouses. The abolition of slavery led them to write many songs and support the election of Abraham Lincoln. A perfect example of this is their use of the well-known folksong "Old Rosin the Beau." Jesse Hutchinson wrote to it the lyrics for the abolition song,"Roll on the Liberty Ball", and later the subsequent Civil War song, "Lincoln and Liberty, Too", putting a developmental spin on how the war came about. Find the words at Roll on the Liberty Ball. and Lincoln and Liberty, Too . Altogether there were 13 Hutchinson Family Singers and by 1859 they split into two groups each called the Hutchinson Family Singers. They popularized "The Battle Cry of Freedom", (the Confederates took that song and wrote their own lyrics, too), "Tenting on the Old Camp Ground" and other songs. "The Battle Cry of Freedom" has many citations on YouTube and Google as does "Tenting on the Old Camp Ground"
There's more to the Hutchinson Family story, but I've found the two songs I use give shape to a story not as tidy as fiction. As noted in other posts at my website, http://www.LoiS-sez.com/Historical.html, music ties together lives and events as dramatic as fiction, but less easily organized. "Roll on the Liberty Ball" is used for my Underground Railroad program about the Lerich family, based upon oral history. For the Civil War I use "Lincoln and Liberty, Too" plus excerpts from letters by or sometimes about the two sons, Will and Isaac, who joined the "Fighting Fifth" Infantry of Michigan during the War of Rebellion, as it was called here in the North at that time. Other songs can be found in the Fifth Michigan Regiment Band's bibliography. Here are some sources I found useful, many are also on the Fifth Michigan Regiment Band's bibliography. * Crawford, Richard, The Civil War Songbook, Dover Publications, Inc., New York, 1977. * Currie, Stephen, Music in the Civil War, Betterway Books, Cincinnati, 1992. * Glass, Paul, Singing Soldiers, Da Capo Press, Inc., New York, 1968. * Hill, Lois, Poems and Songs of the Civil War, Fairfax Press, New York, 1990. * Jackson, Richard, Stephen Foster Song Book, Dover Publications, Inc., New York, 1974. * Krythe, Maymie R., Sampler of American Songs, Harper & Row Publishers, New York, 1969. * McNeil, Keith and Rusty, Civil War Songbook; with Historical Commentary, WEM Records, Riverside, CA, 1999. * Raph, Theodore, American Song Treasury, The, Dover Publications, Inc., Mineola, NY, 1964. * Silber, Irwin, Songs of the Civil War, Dover Publications, Inc., New York, 1995. * Silverman, Jerry, Ballads & Songs of the Civil War, Mel Bay Publications, Inc., Pacific, MO, 1993. If you are looking for stories behind a dozen songs, Silverman also wrote Songs and Stories of the Civil War, Twenty-First Century Books, Brookfield, CT, 2002. I omit recordings as they are more difficult to guarantee availability, format, and the ability to interlibrary loan. These books give the music in print to permit performance.